So with such a terrible track record with developing drugs to combat Alzheimer’s, the government-led medical system did what is becoming increasingly popular in the medical industry, it decided to start researching a vaccine to “cure” Alzheimer’s. Why not? Despite the lack of any solid scientific evidence that vaccines have historically reduced illnesses, vaccine development offers the best market potential for drug companies today, as they seek new markets for vaccines beyond childhood immunizations. Trials reportedly began in Colombia South America last year for an Alzheimer’s vaccine, using American tax dollars to fund the research. Fortunately, there is more positive news for the prevention of Alzheimer’s and natural remedies, as it is widely believed now that Alzheimer’s is Type 3 diabetes, and can be prevented and treated much like Type 2 diabetes through lifestyle and diet choices. One of the best recent studies that looked at the role of nutrition in Alzheimer’s was published in the European Journal of Internal Medicine: “Nutrition and Alzheimer’s disease: The detrimental role of a high carbohydrate diet”1. Another result of the low-fat dietary belief was the replacement of fats in the diet with refined carbohydrates, which leads to a rise in blood glucose levels and over time to insulin resistance and diabetes. They point out that the prevalence of fructose, mostly in the form of high fructose corn syrup, is ten times more reactive than glucose in inducing glycation (for a detailed discussion of this, see the video below: “5 Medical Doctors with Gary Taubes and Robb Wolf Discuss Coconut Oil and Alzheimer’s Disease”.) This impairs serum proteins, and they hypothesize that this leads to a depletion of much needed cholesterol and fat in the brain. Strong evidence in favor of their hypothesis is the fact that studies show patients with type-2 diabetes are at two to five times increased risk to AD. 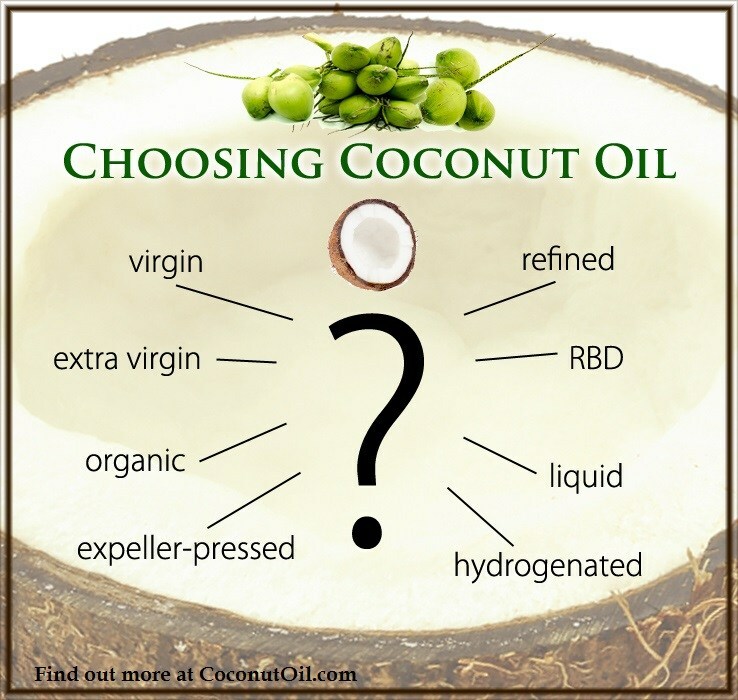 As coconut oil’s use becomes more accepted and widespread, and as people begin to realize the dangers of the low-fat dietary belief, we are starting to see more testimonies in relation to diseases like Alzheimer’s. One of the most widely published reports is from Dr. Mary Newport as reported by the St. Petersburg Times on October 29, 20086. Dr. Newport’s husband had been diagnosed with early onset Alzheimer’s and was watching her husband quickly deteriorate. After using drugs that slowed down the effects of Alzheimer’s, she looked into clinical drug trials and found one based on MCTs that not only slowed the progression of Alzheimer’s, but offered improvement. Not being able to get her husband into one of these trials, she began to give him Virgin Coconut Oil, and saw incredible improvement in his condition. Coconut oil does offer hope as nature’s most abundant source of MCTs, and it is an easily convertible fuel source for ketones. In addition, it is one of nature’s richest sources of saturated fat which is needed to produce HDL cholesterol to feed the brain. People suffering from Alzheimer’s should immediately start avoiding polyunsaturated forms of oil such as soy and corn oils, especially if they are hydrogenated and in the form of trans fatty acids. These are prone to oxidation and potentially mitochondrial dysfunction. Other healthy fats would include butter from the milk of cows that are pastured and mostly grass-fed, and Omega 3 fatty acids from high quality fish oil, cod liver oil, or krill oil. Refined carbohydrates in the form of refined wheat products and refined sugars should be strictly avoided! High protein foods such as eggs from pastured chickens (preferably fed a soy-free chicken feed), pastured poultry, and grass-fed meats are all desirable sources of fats and proteins for brain health. 5. Dietary fatty acids and oxidative stress in the heart mitochondria. Lemieux H, Bulteau AL, Friguet B, Tardif JC, Blier PU. 5. Neurobiol Aging. 2004 Mar;25(3):311-4. Effects of beta-hydroxybutyrate on cognition in memory-impaired adults. 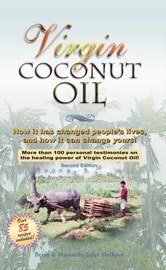 Reger MA, Henderson ST, Hale C, Cholerton B, Baker LD, Watson GS, Hyde K, Chapman D, Craft S.
More research and testimonies on Coconut Oil and Alzheimer’s Here. 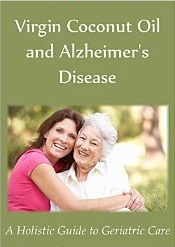 Keep up-to-date on the research regarding Alzheimer’s Disease and coconut oil, as well as other research on coconut oil, at CoconutOil.com. 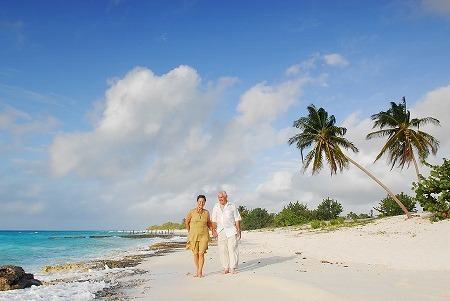 ©2012-2013 Health Impact News Daily – All Rights Reserved. Permission is granted to reprint or republish this article provided all the links and content are kept in tact, and a link back to Health Impact News Daily is provided.